There are not as many jobs to do this winter. The outboard mount and top of centre board case both need some attention, as do the spars. 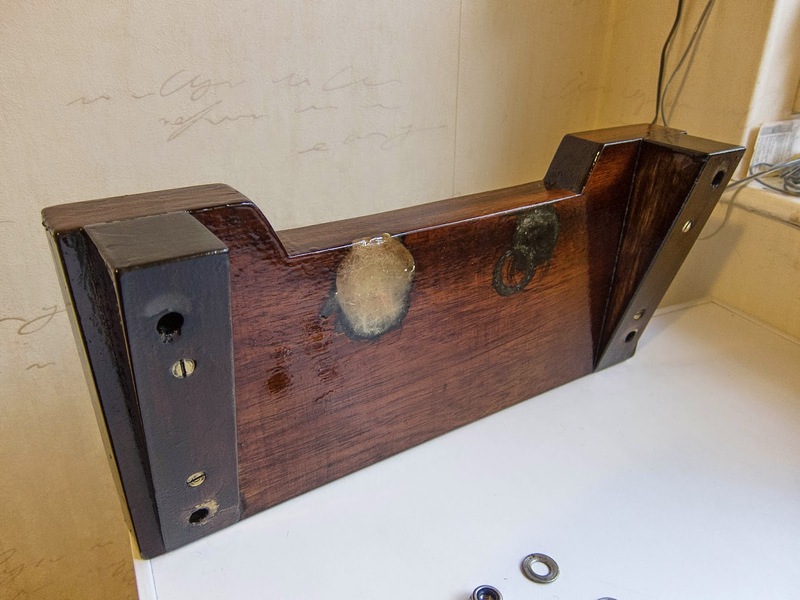 The outboard mount had suffered where the clamps had marked the wood, some glass fibre was used to build this area up. 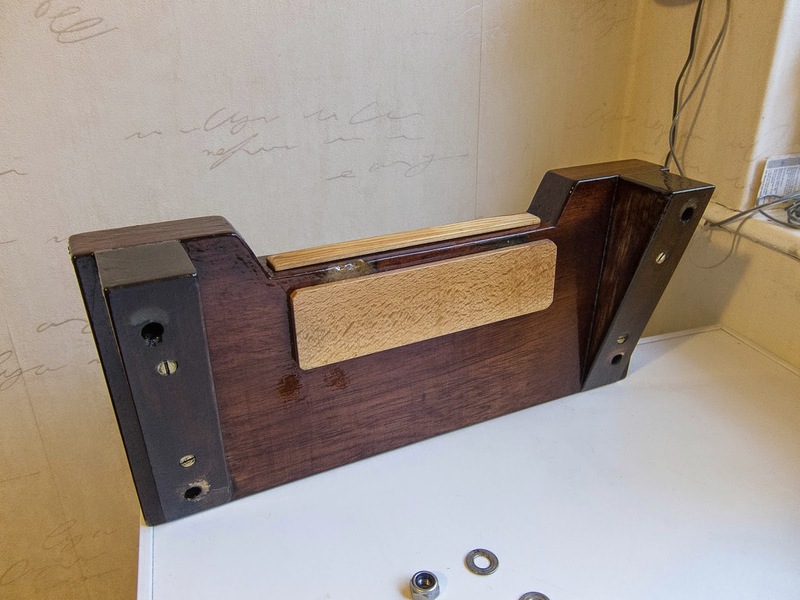 Both pieces were stripped back to the bare wood, before using Deks Olje D1. I made the mistake of applying the D2 too soon and this took several days before it dried fully. It is recommended that there is a gap of 3 days before the D2 is applied, I think this may be a minimum time and suggest leaving it longer for the D1 to fully dry. The bottom end of the mizzen mast, inboard end of the bumpkin and gaff, all needed a good rub down before new coats of the D2 could be applied. There were a number of small chips and old fitting holes on the deck moulding which needed to be filled. I was pleased to find Honnor Marine could supply some gel coat that matched remarkably well and certainly helped enhance the finish of the boat. 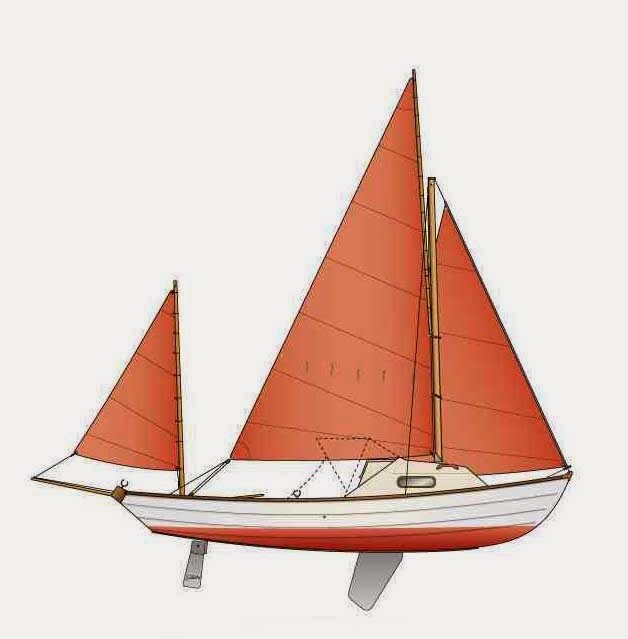 The real development is the decision to order a new set of sails from R&J sails. The jib is a straight replacement but I have decided to change the mainsail for a high peak variation. This should improve the performance of the boat and also allows the mainsail to be "scantalised", a traditionally useful method for de-powering the rig. However, it does need some additional rigging, which will need to be planned and fitted before the new main sail can be used.